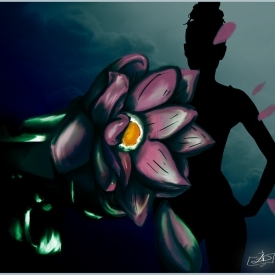 After offering up their Krash Battle-assisted teaser single "Night Blooming Jasmine" last October, the guys from St Joe Lotus (Elete, Tommy Chase and Michael Cardigan) mark their return with last month's release of their latest effort, St Joe Lotus:Reloaded. Born out of the group's admiration for experimental beatsmith Flying Lotus, St Joe Lotus: Reloaded, the sequel to their previous release St. Joe Lotus, keeps with the foundation laid on the trio's first Lotus release with production created entirely by Flying Lotus. The New Jersey/Texas hip-hop trio's follow project boasts markedly more emotional lyrical content and handpicked production with a noticeable more brooding. tone all while embracing the group's "feelings over filler" mantra. Noting the beauty in brevity, the majority of the EP's songs hover just under the three minute mark, a feat that speaks to St Joe Louis's ability to paint vivid lyrical collages with only a few verses. "Reloaded" the EP's titular track addresses the group's renewed musical focus while showcasing the group's lyrical wit. The project's standout cut "Night Blooming Jasmine" finds St Joe Louis dimming the lights for steamy and intimate number. With an atmospheric instrumental driven with perfectly calibrated percussion, the trio waxes poetics while giving their take on the modern art of seduction.